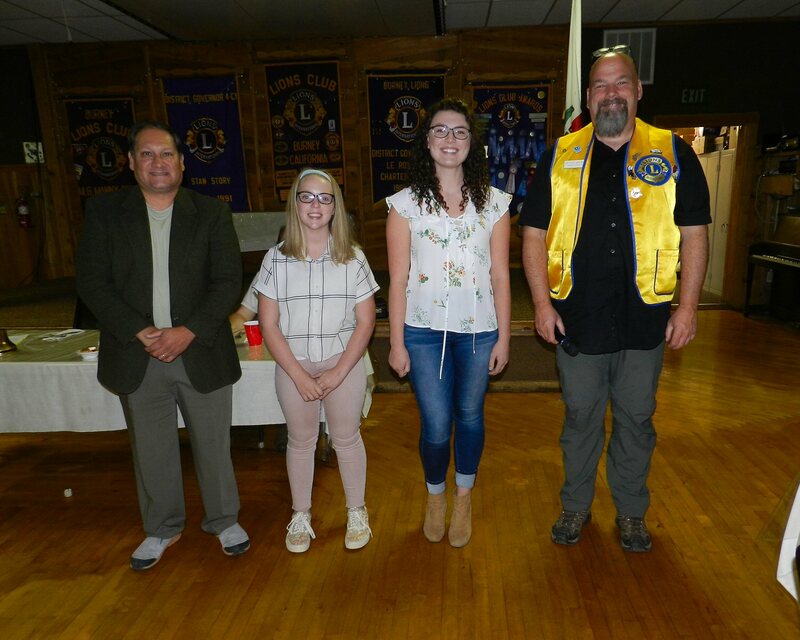 Cassandra Taylor and Harper Tate were honored as September Students of the Month at the Burney Lions Club on Thursday evening September 20. Taylor was named 12th grade student of the month and Tate was named 8th grade student of the month. Senior Cassandra Taylor has a grade point of 3.8. She is President of Interact Club, President of S-Club, and Treasurer of ASB. She is active in FNL, mentoring, Leos Club, Leadership, CSF, cheerleading, and Raiders Radio. Cassandra enjoys hunting, cheerleading, and MMA. She also enjoys doing projects with her mom like sewing and making poster boards for various organizations. She hopes to be able to travel outside the United States and see waterfalls. During the summer she has taught swim lessons. After graduating she plans to attend junior college and then transfer to a four-year University. For her achievement as Student of the Month, Ms. Taylor will be awarded a check for $100 from the Burney Lions Club. Eighth grader Harper Tate has a 4.0 grade point average. She is President of her class and is active in CJSF and 4-H. She plays volleyball, basketball and track. She is also active in her church where one Sunday a month she helps take care of younger children in the nursery. Harper likes playing with her dog and spending time with friends. She would like to learn how to juggle. In the future she would like to attend college to become a teacher and then teach in Cambodia. Harper’s brother Langston and sister Avery also came to see their sister honored. Harper will receive a check from the Burney Lions Club for $50 for being Eighth Grade Student of the Month.